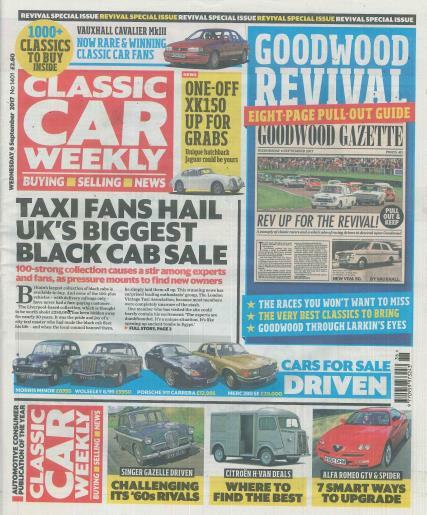 Classic Car Weekly is the UK’s must-read classics newspaper. Buy a single copy or subscription to Classic Car Weekly magazine. Packed with hundreds of classic cars and parts for sale every week and the news stories that matter to real enthusiasts.